A fair literary response is that the anviliciousness is the point - people may argue about the story, but if you've read it you remember it. This post is not about the story itself, but about those cold equations, specifically as they relate to reaching Earth orbit. And for that purpose, the grump about the story is, if anything, understated. Realistically, the spacecraft in the story should not have had anywhere a stowaway could hide in the first place. It would be like stowing away in a Formula I racing car. The cold equations we are specifically interested in are handily available at the Atomic Rockets site. Orbital velocity in low orbit is about 7.8 km/s. Add the potential energy from being about 300 km up, and the kinetic energy needed to reach low orbit corresponds to about 8.2 km/s. There are also some unavoidable losses from air friction and gravity. In a vertical launch, 1 g of your initial thrust just goes to hovering, adding nothing to your speed. A horizontal launch allows aerodynamic lift to do that work, but means more aerodynamic drag. If your launch site is at low latitude you also get up a few hundred meters/second of rotational velocity as a freebie. These variables are, well, variable, depending on vehicle configuration and launch site. But taken together, expect to burn some 9-10 km/s in delta v to reach orbit. Now we can play with some (very crude!) virtual orbiters. Captain Obvious reminds you that these numbers are not remotely authoritative: for one thing, I routinely round off numbers to 2-3 significant figures. The highest performance propellant mix that we can really count on is H2-O2, which is good for an Isp in the range of 420-455 seconds, corresponding to an effective exhaust velocity around 4.2-4.5 km/s. Performance in atmosphere is lower. Delicately ignore that for the moment. Cutting to the chase - and in the best case - getting to orbit calls for a mission delta v equal to at least twice the drive's exhaust velocity. For an SSTO that corresponds to a mass ratio of e^2, or 7.39, or an 86 percent propellant fraction. To simplistically model more conservative assumptions, again set effective exhaust velocity at 4.5 km/s (still ignoring atmosphere! ), while equivalent mission delta v is 10 km/s. In that case the mass ratio rises to 9.23, for an 89 percent propellant fraction. This is the truly cold equation, because it puts convenient space flight pretty much out of the running. In the ideal case, if your launch mass is 1000 tons, 860 tons of that will be propellants, with the remaining 140 tons for the tankage, thrust structure, engines, minor items such as the guidance package, and (oh yes) a payload. With more conservative assumptions you have 890 tons of propellants and 110 tons for everything else. These proportions are not, in themselves, impossible. The first and second stages of the Saturn V had dry weights of less than 8 percent and 6 percent of loaded weight respectively. But the first stage used denser kerosene and LOX with much lower performance, while the second stage used H2-O2 but had initial acceleration of only 1.04 g in near-vacuum, and at sea level would have been unable to lift itself off the pad. For the current state of the art, the dry weight of the SpaceX Falcon 9 first stage is about 7 percent of load weight, but it also uses kerosene and LOX. A tank for H2-O2 would have to be much bulkier - about 3 times the volume capacity - and thus much heavier. The bottom line is that an expendable SSTO might be viable, but offers no advantage over two-stage expendables. Any saving in operational simplicity (no staging separation or second stage startup) would be have to be balanced against the extremely narrow margins of the design. Note that both Americans and Russians used 'one and a half stage' designs for their experimental ICBM models, Atlas and R-7 Semyorka - both of which went on to very successful careers as space boosters. Their designs allowed all main engines to be started on the launch pad. But later developments added a true second stage, and modern generation boosters have at least two stages, often with boosters strapped to the first stage. The Shuttle was (we must now say was!) essentially a 'one and a half stage' orbiter, with recovery of the solid boosters, engines, and payload bay, but expendable main propellant tank. Getting to a recoverable SSTO rocket would require a tech revolution - either dramatically stronger materials, or dramatically more powerful propellants. Neither is impossible. But likewise, neither is foreseeably in the cards. An airbreather ascent, as proposed for Skylon, does not call for quite so big a tech revolution, but still requires a couple of very big pieces of undemonstrated technology - jet engines operating up to Mach 5+, then efficiently shifting into rocket mode, and a huge, lightweight airframe capable of handling the heat loads. Skylon is awesomely cool, but just as awesomely demanding. I can't quite rule it out, but I wouldn't want to rely on it. Two stages makes it all a lot easier, which is why two-stage boosters are now typical. A fully reusable TSTO vehicle is almost certainly possible. Whether it would be viable - that is to say, competitive with modern generation expendables - is a much iffier question. And because I've made you wait so long even for this much, I will take up recoverable TSTO, and its alternatives, in an upcoming post. Related Post: 'The Cold Equations' came up here previously, in the comment thread of a post about what constitutes hard SF. The image of the X-37 unmanned spaceplane comes from the Christian Science Monitor (which in spite of its name and affiliation has had a good reputation over the years). Via Sky & Telescope comes word that the Dawn probe has reached the asteroid Vesta, going into orbit around it last evening (PDT). Unlike the abrupt arrival burns of chemfuel rockets, Dawn's arrival was a gentle transition from solar orbit to circum-Vesta orbit - the first arrival burn by an electric-drive spacecraft. 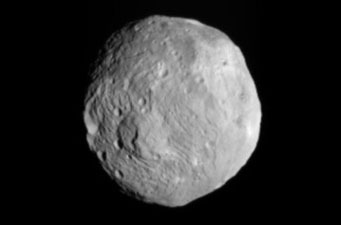 The image, taken a week ago by one of Dawn's cameras, shows Vesta as a suitably transitional object, not quite spherical, but also not potato-shaped like smaller asteroids. According to the S&T news note, Vesta probably underwent partial internal melting during its formation, and so has a distinct core and mantle. One of Dawn's tasks is to measure Vesta's mass - implying that we don't actually know yet precisely when Dawn entered Vesta orbit, only that at some point during its gradual burn it must have done so. Dawn will spend about a year orbiting Vesta before moving on to the asteroid belt's sole full-fledged 'dwarf planet,' Ceres. This coming week we will return to the vexed issue of reaching Earth orbit. (Yes, last week slipped past me.) But for now, let this be a reminder that exploration of the Solar System is underway and continuing. In other news, a belated note that I have added my Twitter feed to the right-hand column on the main page, below the archive links. But I haven't taken time yet to add the little bird logo. Heinlein famously said that once you are in low Earth orbit you are 'halfway to anywhere.' In strict terms of kinetic energy he was wrong. LEO is merely halfway to an independent solar orbit that escapes Earth, but then goes nowhere in particular. With nominal additional delta v, great ingenuity, and enormous patience, you could indeed exploit the 'interplanetary superhighway,' but in spite of the name that is the slowest way to get anywhere. In more practical respects a case could be made that low orbit is a good deal more than halfway to anywhere. Once in orbit you can use high specific impulse propulsion to reach other worlds, then single-stage rockets to land on and take off from them. None of these maneuvers is as difficult as the brutal lift from Earth surface to orbit. I have said relatively little on this blog about reaching Earth orbit, precisely because it is so difficult. Getting to orbit is the elephant in the room of space travel, an access ticket that costs about $10 million per ton, give or take. This cost structure, I would argue, is due as much to modest traffic volume as to purely technical limitations. (More precisely, low traffic volume is one of the technical limitations, perhaps the most important one.) In the current era there are about 60-70 space launches each year, with total payloads probably equivalent to a few hundred tons to LEO. Moreover, expendable rockets are built on a production line, achieving some modest manufacturing efficiencies, albeit much less than true mass production (like cars) might allow. Another way to look at this is that if we had a classic reusable orbiter, capable of being turned around for re-launch every few days, it would be grossly under-utilized. Total world traffic could be handled by one or two vehicles - prototypes, in effect - eliminating all the efficiencies of series construction and fleet operation. Moreover, those one or two orbiters could not be optimized to match varied payloads and insertion orbits. Thus, most launches would fail to take full advantage of the orbiter's capabilities - meaning that those launches would cost more than, ideally, they should. The Shuttle, now on the verge of its final flight, is in large part a testimony to misjudged traffic demand. For all of its design compromises and operational shortcomings - which, among other things, cost the lives of two space crews - it was not an outright failure. 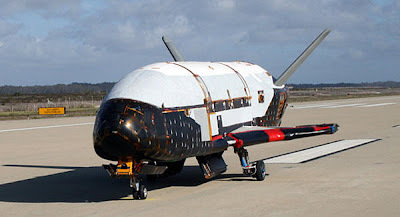 It proved that a semi-reusable spacecraft is technically and operationally possible. If we were to build a second generation version we could do a considerably better job. 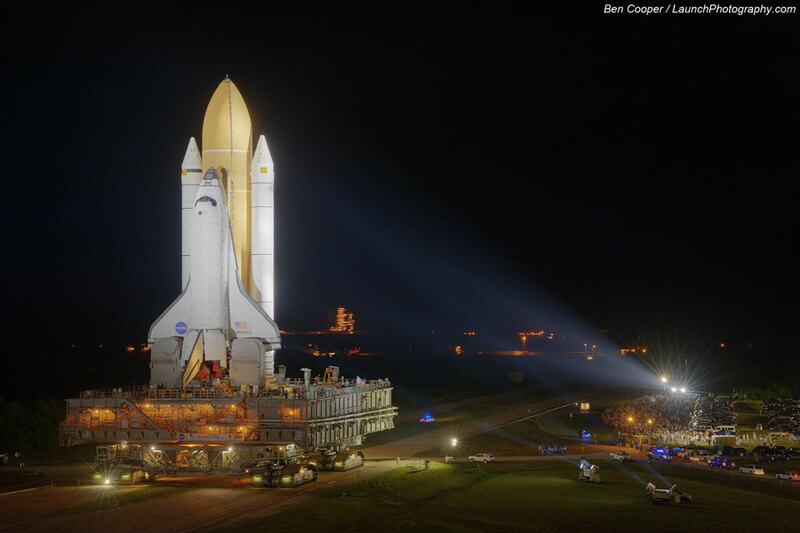 (For one thing, it would not carry astronauts for routine payload launches.) But we will not build a second generation version, and nor will anyone else, at least not in the near future. There is not the traffic demand to call for developing and deploying it. 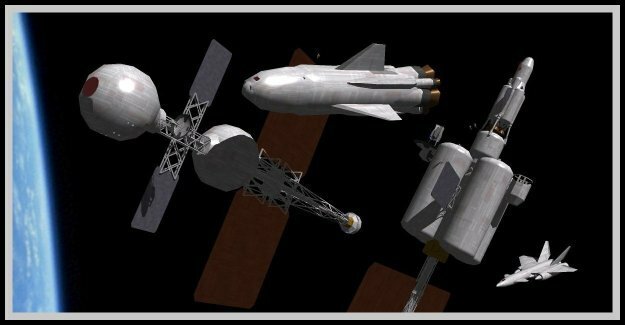 Note the contrast between SpaceX's Falcon and the 'alt space' proposals of earlier decades. Rather than try to revolutionize space lift, SpaceX has aimed at modest, incremental streamlining of familiar launch technologies. The Falcon doesn't look like the future. It just looks like another two-stage expendable rocket. Which is pretty cool in its own right. A flip side of this discussion is that I am unpersuaded by the various radical launch alternatives - elevators, launch loops, even laser launch - that have been proposed in recent years. My gut reaction is that they all reek of desperation. Because the Shuttle failed to provide routine biweekly space flights, the thinking seems to go, we should abandon chemfuel rockets entirely in favor of almost purely speculative technologies. I doubt that this is either necessary or viable. At some point in the plausible midfuture we may reach the point of wanting to put thousands rather than hundreds of tons into orbit each year. At that point - not earlier, and probably not later - we will have reason, and financing, to develop reusable orbiters. I'm highly doubtful of classic SSTO rockets. The design would have to be too extreme, even with major improvements in materials technology. On the other hand, reusable TSTO is almost certainly technically achievable. It would have a much smaller payload fraction than expendable rockets, since the stages must come back for recovery. But if the traffic is sufficient, there is at least a fair chance of streamlining operations to the point where re-use of the launcher pays off. 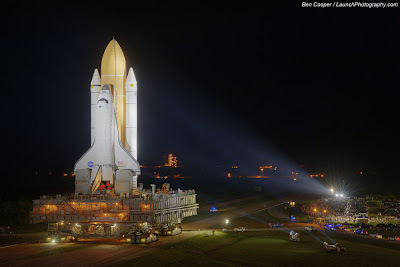 Via APOD, the final Shuttle rollout.